Nickerbacher is a fire-breathing dragon. It's his job to guard the princess just as his father did, and his father's father before that. But in truth Nickerbacher doesn't wish to be a scary dragon. What he wants more than anything is to be a comedian. So when he learns the Late Knight Show is accepting auditions he longs to give it a shot. Sadly, he knows his father would be dissapointed with him if he chose not to continue in the path of his forefathers. Thanks to his friend, Princess Gwendolyn, and his new coach he learns that above all, he must be true to himself. Author Terry Johnn Barto's Nickerbacher is a whimsical tale that will entertain while instilling a message of empowerment and individuality. Excellent for young readers as well as for read-aloud, this book is sure to be a favorite with youngsters. 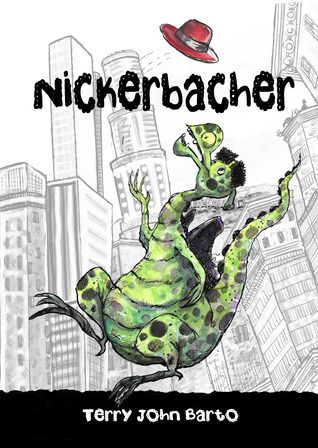 Recommended for home and school libraries, Nickerbacher has earned the Literary Classics Seal of Approval.